A critical first step in improving workplaces for Ontarians is increased education and enforcement of Ontario’s existing labour laws. Those businesses that are not complying with Ontario's labour laws should face serious consequences. But there is little value in increasing the administrative burden of businesses that are and remain committed to being fully compliant with labour standards. The province plans to hire up to 175 more employment standards officers and launch a program to educate both employees and small and medium-sized businesses about their rights and obligations under the Employment Standards Act. Education will help employers understand their obligations. Once the new employment standards officers are hired by 2020-2021, the Employment Standards program will resolve all claims filed within 90 days and inspect 1 in 10 Ontario workplaces. Additionally, the program will provide compliance assistance to new employers specifically focusing on medium and small business. This will help good employers understand their obligations. Enforcement will focus on employers who compete unfairly by breaking the law, and will level the playing field for the majority of employers that follow the rules. Increased enforcement will aim to motivate compliance and deter non-compliance. This requires resources in enforcement and in education to impact employer behaviour and deter potential violators. The OCC supports taking action against those who willfully ignore their obligations under the law. Fundamental to this, however, is ensuring that appropriate steps are taken to educate employers. We believe that the strong language in the Final Report of the Changing Workplaces Review is appropriate. We would further suggest broader coordination and communication between the Ministry of Labour and other ministries within government to enhance a single-point of contact between government and businesses, especially small businesses. Your voice will make a difference. Please write to the Government of Ontario today and let them know that you're concerned about the potential impact of changes to our labour and employment laws. Send the letter below, or, for more impact, you can edit and personalize it with a specific recommendation about contract work, scheduling, sectoral bargaining, or any other issue that will impact your business. Ontario’s labour and employment laws are changing. 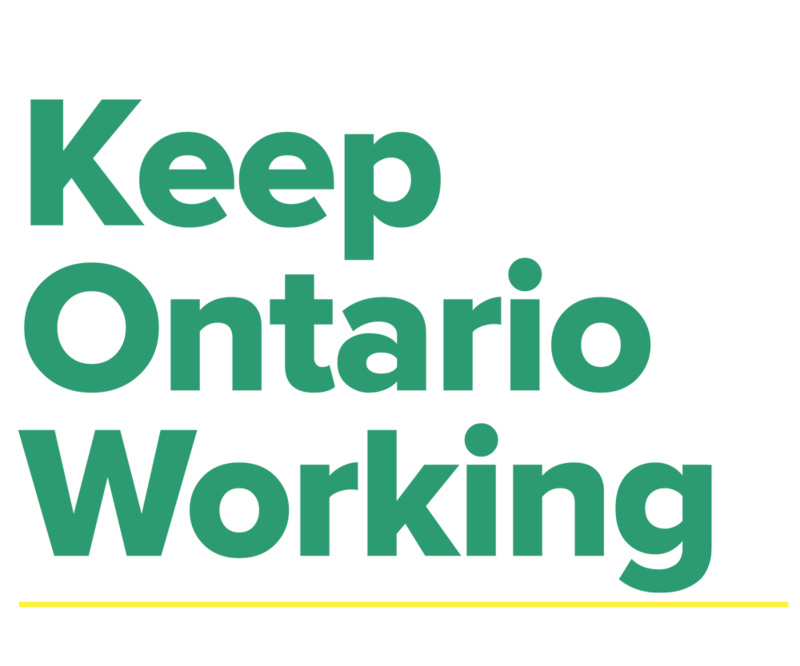 Learn about how you can Keep Ontario Working and ensure that government is improving legislation to support workers’ rights, create jobs and grow the economy.